NO. 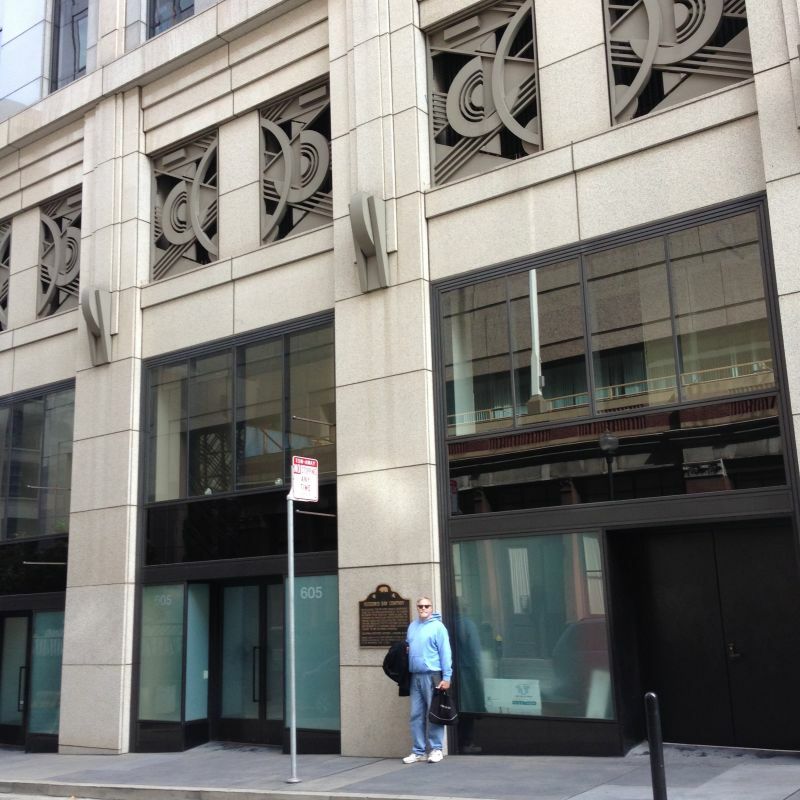 819 HUDSON'S BAY COMPANY HEADQUARTERS - On this block, then on Yerba Buena's waterfront, stood the California headquarters of the Hudson's Bay Company. Their chief trader, William G. Tae, purchased the property and started operations in 1841. This venture caused wide speculation about British intentions. 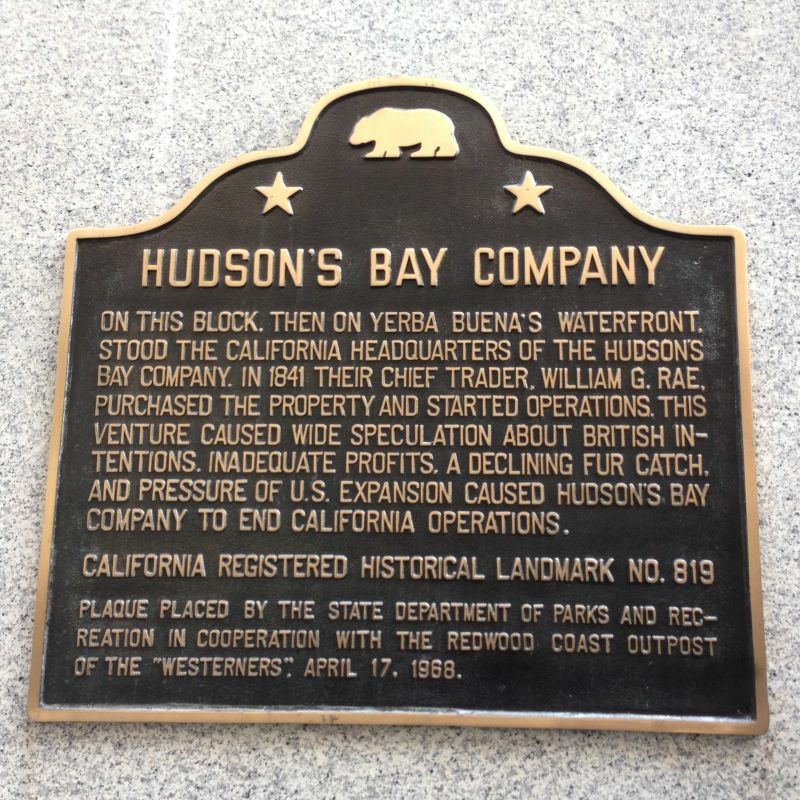 Inadequate profits, a declining fur catch, and pressure of U.S. expansion caused Hudson's Bay Company to end its California operations.